The science of Alzheimer’s disease has come a long way since 1906, when Alois Alzheimer first described the key features of the disease. Alzheimer, who was a German neurologist and psychiatrist, noticed abnormal deposits in the brain of a 51-year old woman who had dementia. It was later confirmed that patients with Alzheimer’s disease often have brain abnormalities called plaques and tangles. Dementia is not a specific disease. It is a general term for a decline in mental ability severe enough to interfere with daily life. Dementia describes a wide range of symptoms. Memory and other thinking skills are usually affected. Alzheimer’s disease is the most common cause of dementia accounting for 60 to 80 per cent of cases. With an aging population and no available cure on the horizon, Alzheimer’s disease and other types of dementia have become a growing concern. Today it is estimated that about 34 million people suffer from Alzheimer’s disease worldwide, and the number is increasing rapidly. It is the sixth most common cause of death in the United States. It is expected that the number of individuals with Alzheimer’s disease will triple over the next forty years. Therefore, finding a cure for Alzheimer’s disease is a major challenge for the medical community. Furthermore, clarifying the nature of the disease and its risk factors may provide clues on how it can be prevented. The exact cause of Alzheimer’s disease is not known, although some risk factors have been described. Most cases develop late in life, and most patients with the disease are 65 or older. Family history seems to play a role. There is a higher risk of Alzheimer’s disease if another family member has been affected. However, inherited factors are responsible in only a small number of cases. When the disease is inherited, it tends to lead to early onset of Alzheimer’s, often between the ages of 35 and 60. Examples of genes that may be at fault are the presenilin-1 gene on chromosome 14 and the amyloid precursor protein gene on chromosome 21. Having the ApoE4 genetic variant is one of the biggest risk factors for developing the disease. A few years ago a paper written by two US researchers on how reducing modifiable risk factors might cut the prevalence of Alzheimer’s disease was published in The Lancet Neurology. The authors pointed out seven of the most important risk factors for Alzheimer’s disease: diabetes, midlife hypertension, midlife obesity, smoking, depression, cognitive inactivity or low educational attainment, and physical inactivity. They concluded that a 10—25% reduction in all seven risk factors could potentially prevent as many as 1.1—3·0 million cases of Alzheimer’s disease worldwide and 184.000—492.000 cases in the USA. Most importantly, the authors highlighted that to a certain degree, Alzheimer’s disease is a preventable disorder. The current obesity epidemic is one of the world’s biggest health concerns. According to The World Health Organization, “an escalating global epidemic of overweight and obesity – “globesity” – is taking over many parts of the world. If immediate action is not taken, millions will suffer from an array of serious health disorders”. A systematic review from 2008 found that body-mass index (BMI) was associated with an increased risk of all-cause dementia and Alzheimer’s disease. These results were supported by a more recent meta-analysis showing that obesity and diabetes were significantly and independently associated with risk for Alzheimer’s disease. However, studies have suggested that an obesity paradox may be present among the elderly. Thus, although obesity in young and middle aged people is associated with increased mortality, this may not be true for the elderly population. Another study found that declining BMI in older adults was associated with increased risk of Alzheimer disease. Now, a very large cohort study published in The Lancet Diabetes & Endocrinology suggests that people who are underweight in middle age are at increased risk of developing dementia, while increasing weight and obesity offer protection against the condition. The researchers point out that most previous studies have been small and that a much larger study was needed to establish the relationship between body weight and Alzheimer’s disease. The researchers, from the London School of Hygiene and Tropical Medicine and from OXON Epidemiology examined the medical records of nearly two million people from the Clinical Practice Research Datalink (CPRD), a database of patient information recorded during routine general practice over nearly 20 years. The cohort included people aged 40 and over whose BMI was recorded from 1992 to 2007 and whose average age was 55 at the start of the study. Their records were followed for an average of nine years. During this time, 45 507 people were diagnosed with dementia. The findings, showed that people who were underweight (BMI less than 20) were 34% more likely to have dementia diagnosed than those who were a healthy weight (BMI 20 to 24.9). This higher risk of dementia persisted even 15 years after the underweight was recorded. The incidence of dementia continued to fall as weight increased, as very obese people (BMI greater than 40) were 29% less likely to get dementia than people in the normal weight range. Adjusting for confounding factors known to increase the risk of dementia, such as alcohol use or smoking, did not significantly change the results. We often find it disturbing how scientific consensus changes all the time. However, philosophically, this phenomenon is inherent to the nature of the scientific method. Karl Popper, an Australian-British philosopher of science proposed that since no amount of experiments could ever prove a scientific theory, but a single experiment could disprove one, science should be based on falsification. However, the term “falsifiable” does not imply that something is truly false, but rather that, if it is false, it can be shown by observation or experiment. The philosophy of science often addresses the hypothesis that “All swans are white”. 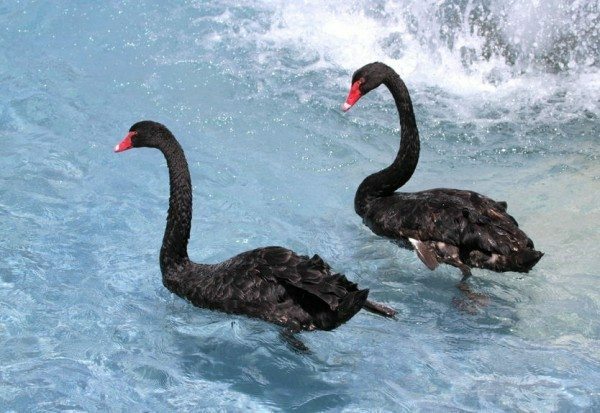 Consequently, if we find a single black swan, this hypothesis becomes false. Falsificationism strives for questioning, for disproving a hypothesis instead of proving it. So, for years we have believed the scientific theory that midlife obesity increases the risk of dementia and Alzheimer’s disease. However, the recent evidence casts serious doubts on this theory and even suggests that obesity may be protective. Such reversal of opinion doesn’t reflect the imperfection of science but merely confirms its nature. It would be interesting to look at how insulin resistance and blood glucose levels correlate with both Alzhiemers and obesity before drawing to many conclusions from this study. There is a lot of interest now in GLP drugs and Alzheimer disease, the hypothesis is that GLP are neuroprotective. Great number of Alzheimer desease is mixed with vascular dementia, but GLP-1 doesn’t only reduce vascular risk but the fact that GLP receptors are expressed in the brain, makes it interesting for direct protective effect. There are at least 2 dobble blinded trials driving as we speak, without nova nordisk involving. I thought we were getting close to understanding the cause and this way also to being able to evaluate prevention options? Oh my, and I just lost 13 pounds… to go from high normal-borderline overweight to mid-normal. Do these studies mean I should gain them all back and more? I was actually planning to lose one or two more pounds as there are a couple of skirts that are too tight. “Such reversal of opinion doesn’t reflect the imperfection of science but merely confirms its nature.” How convenient. This should lead the practitioners to debate in humility. Not to treat the nay sayers as some black art practitioners. Not too long ago, those who spoke against trans-fat, margarine, sugar, low fat, dietary cholesterol and a few others were considered as quacks. Today, mainstream is revising some of these dietary advise.